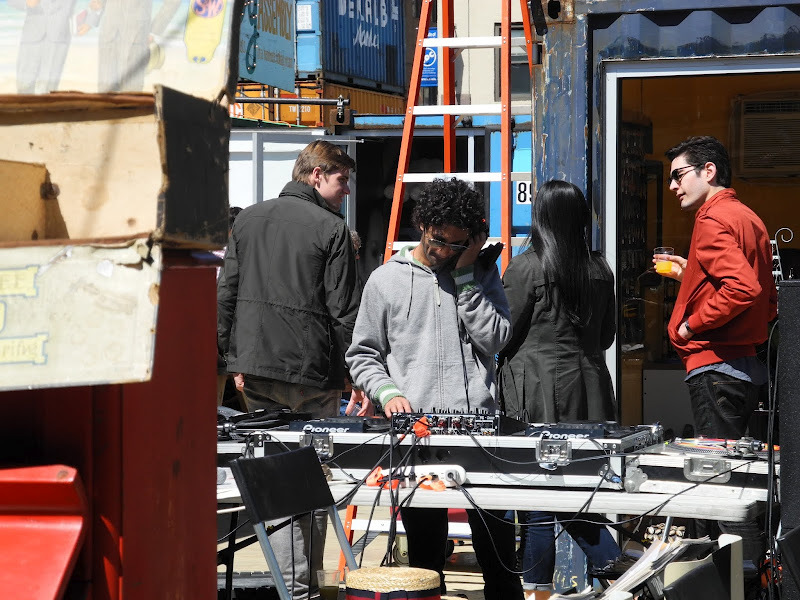 This past weekend was the launching of the 2012 season for the Dekalb Market along Flatbush Ave. in Brooklyn. It’s an open-air market apropos of all things New York and for every New Yorker. It isn’t your average farmer’s market and it isn’t your average flee market. 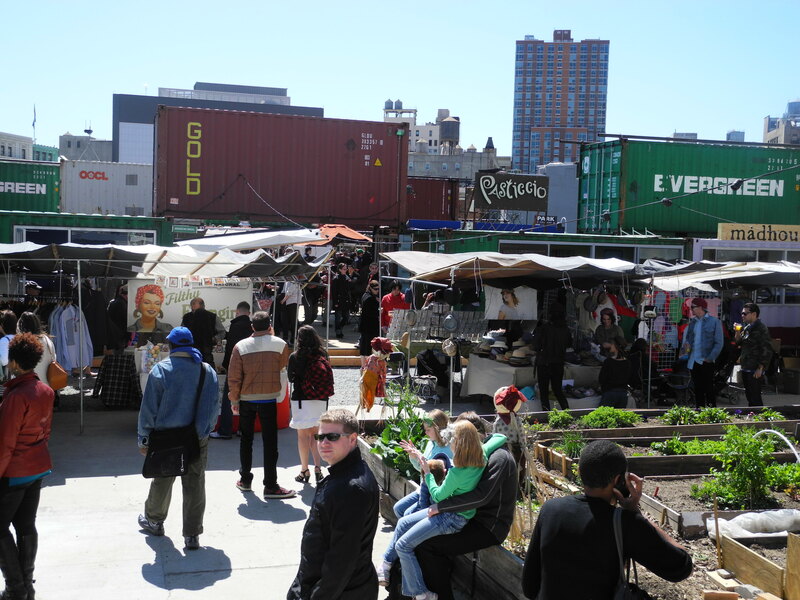 Dekalb Market is an outdoor urban setting; a perfect place to spend a beautiful afternoon having some drinks while listening to some music or to grab a bite to eat. It’s also a perfect place to pop in to purchase a unique gift on your way to a house party as there are over 40 retail shops offering items including jewelry, art, housewares, new and vintage clothing, and accessories. 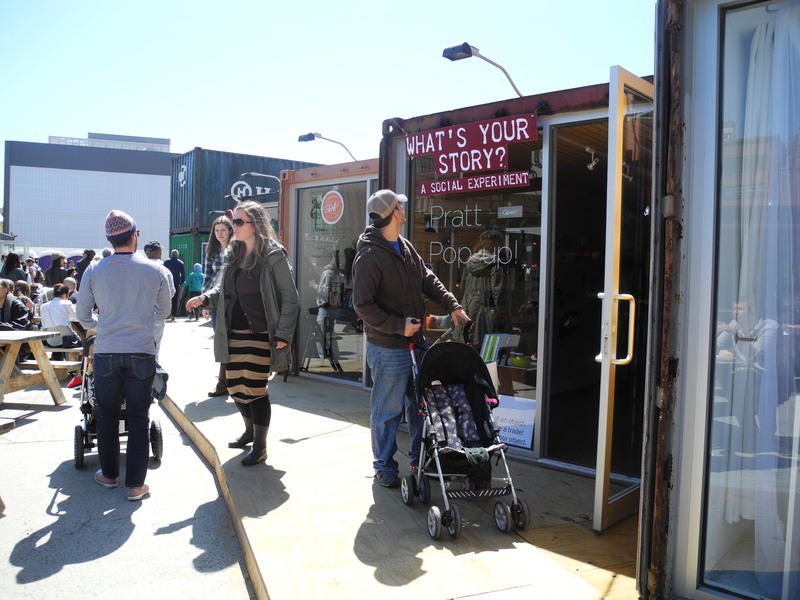 Rather than tents or canopies, the market uses shipping containers to house the retail and food shops – fitting for the urban and sustainable adaptation of today. 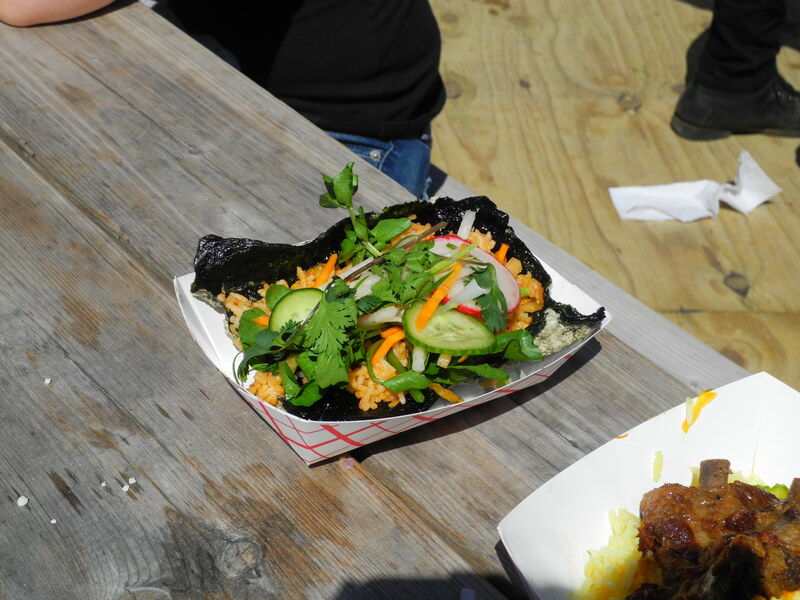 The food shops are all owned by local chefs with fun and unique culinary ideas – for example, Mighty Balls primarily a meatball mobile truck owned by 2 women from families of small restaurateurs; The Purple Yam, one item they offered was a delicious nori taco with kimchi rice (pictured below); Red Hook Lobster serving their warm Connecticut Roll; and Little Muenster for the children in all of us – not to mention some shops from last year including Robicelli’s which bakes a chicken n’ waffles cupcake, and I will for sure taste it the next time that I’m there. 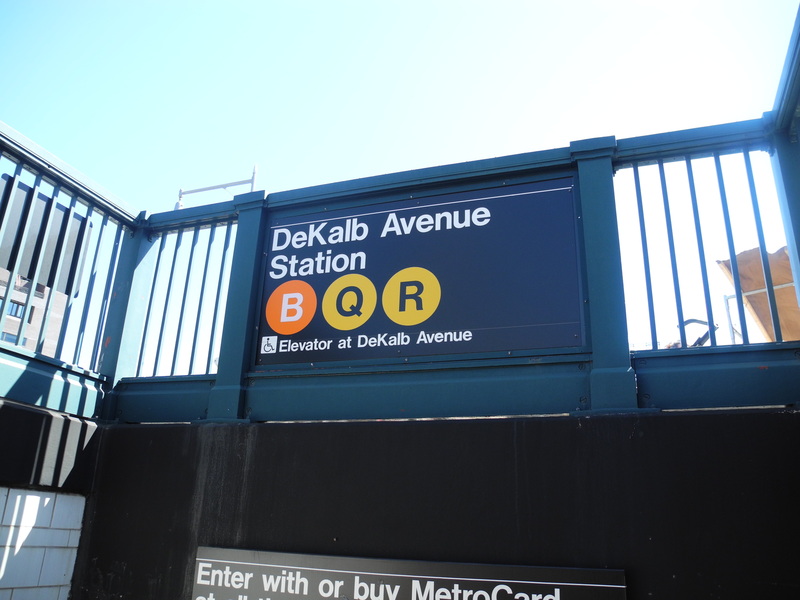 Dekalb Market plans to be “a one of a kind Brooklyn destination for live music, festivals and parties alike” and I believe it will be. Don’t worry you Manhattanites, it’s only a hop, skip and a jump away. It’s super easy to get to and well worth the trip out of the borough. This entry was posted in Uncategorized and tagged Dekalb Market, Little Muenster, MeanRed Productions, Might Balls, Nickodemus, Purple Yam, Red Hook Lobster, Robicelli's. Bookmark the permalink.